So what is Spirit Spritz and why did I start it? On January 28th, 2018, I launched my website Spirit Spritz, which features interviews with global entrepreneurs in the creative industry on how they build their business. I have always wanted to become an entrepreneur so that I can be my own boss and work on something I am 100% passionate about, and I know that I want to start something in the creative industry because that’s the area I am interested in. I realized early on that just having a creative idea would not be enough. I needed to equip myself with all the business knowledge as well, so I identified a few entrepreneurs that I aspired to become and looked up their background and how they got everything started. To my dismay, besides entrepreneurs of large companies like Glossier, most of the creative entrepreneurs are only featured in their industry publications that focus more on their works. For example, you would find the story of a fashion brand founder on Vogue instead of Forbes, and it’s usually about the design and less about the business aspects. At the same time, when I go on websites such as Entrepreneur.com, there is an over-saturated information that’s mostly unhelpful, especially for someone who wants to start something in the creative industry. When I was still in college, I went to many on-campus workshops and conferences and took entrepreneurship classes. However, I was super frustrated to see that most of them were tailored for aspiring tech entrepreneurs who would want to create the next Uber and AirBnB. The cases that we read and analyzed for school featured million-dollar companies backed by investors, instead of small businesses bootstrapped by the owners. Yes, if I put in the time and filter through all the information, I could find useful resources online, but they are scattered on different websites. The current media failed me. Meanwhile, I have always loved meeting people and learning about their stories. I reached out to a lot of people through LinkedIn or emails and asked them for coffee or phone calls. Because of my natural interest in networking, my goal of having my own business, and my frustration with the existing media, I started thinking, why shouldn’t I directly ask entrepreneurs how they took their ideas to market and share our conversations with other aspiring entrepreneurs? This idea came across my mind in July of 2017, and I immediately put it into fruition. I was nervous about starting the website and talked to many friends about it, and they all thought the idea was amazing and agreed with the problems I was facing. I realized that I needed to have a concrete idea ready to pitch in order to convince them to accept an interview, so I spent hours coming up with the name, designing the logo, and building the landing page. I was really scared when I sent out my very first few cold emails to Ruta Laukien, founder of Liquid Art House, and Aman Advani, founder of Ministry of Supply. However, they quickly responded and said that they supported my project and agreed to do an interview. I was eclectic. They ended up sharing so much amazing information with me and gave me a lot of encouragement. There were definitely many setbacks. Many people didn’t reply, and some said no to the interview, but I knew I had to believe in myself and keep pushing. So how is Spirit Spritz different from the millions of other websites? First of all, with the aim to provide actual helpful information, all the interviews are edited to keep only the most relevant business content. Everything is organized into Q&A format by categories, so if you are someone who wants to know how to find and hire the first employee, you can quickly find that question and its corresponding answer under “building the team” section within each interview. All the interviews start with the founder’s background. Each interview is different since each founder and each company is different. I also ask every entrepreneur the same 5 questions that are always asked by people, such as what is their advice for aspiring entrepreneurs. The readers can click the question in the interviews, which will lead to a page with everyone’s answers to that question. The readers can also go to “The 5 Questions” tab to browse all the questions and answers. Most importantly, all the interviews are timeless. Nowadays, many media companies produce content everyday and report what’s new and trendy. 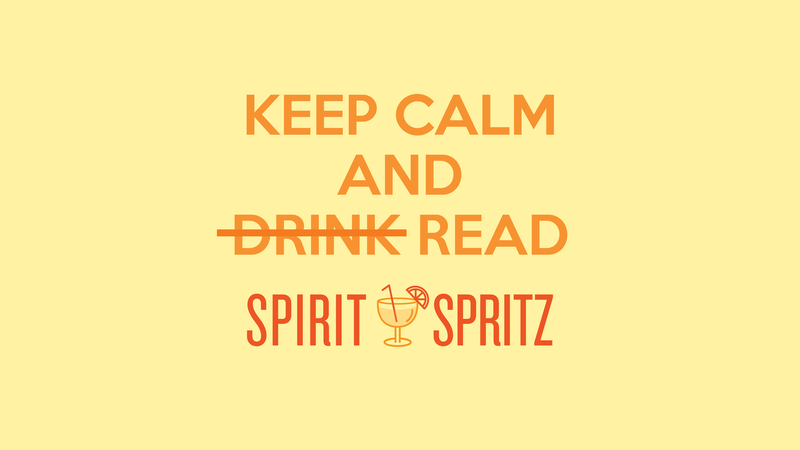 Spirit Spritz only focuses on the start and the first step, so anyone can access the website anytime and read the profile anytime and still benefit from it. With the exception of the home page showing the latest interviews, everything else doesn’t have a hierarchy. The readers can filter the interviews by entrepreneurs, companies, industries, and cities, which are arranged in alphabetical orders. Yes, the company will introduce new products or change their business model later on, but how it started in the first place will never change, and that’s what a lot of people want to know. All the profiles are carefully selected. Either the company has an interesting concept that’s different, or the entrepreneur comes from an interesting background. For example, Liquid Art House is a restaurant-meets-art gallery, and the founder Ruta Laukien was a lawyer and investment banker with no experience in the hospitality industry. It is definitely hard to keep finding entrepreneurs to ensure posting interviews at a regular pace, and I do work on it very hard, but I want to make sure that quality is over quantity. I’d rather not have an interview to post for a week than posting for the sake of having something up. Some people have questioned that I couldn’t make money out of this. It’s really not about money. I would still reach out to these entrepreneurs and ask to learn about their stories regardless of whether I have Spirit Spritz. I started it with the greater mission for it to become the central platform to tell the process of how global entrepreneurs in the creative industry build their business and help and empower aspiring entrepreneurs. Suzie Jiang founded Spirit Spritz, a website that features interviews with entrepreneurs in the creative industry on how they build their business, with the goal to give creative entrepreneurs the spotlight that they so often don't receive as well as provide truly helpful information to aspiring entrepreneurs. Suzie is originally from Beijing and currently lives in New York.